A few days ago, I mentioned that I'd seen an episode of Keeping Up With The Kardashians in which Khloe Kardashian said the r-word. I blogged about it here on November 19th. 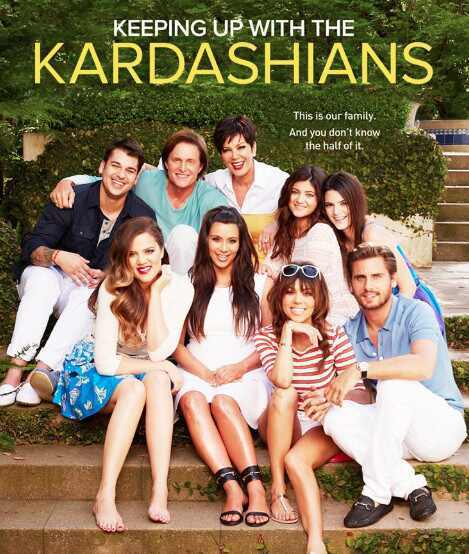 Keeping Up With The Kardashians is an American reality show about a large blended family whose members are (mostly) famous for being famous. In the bottom row of this picture the right hand side, is Scott and, next to him, Kourtney. Kourtney is the eldest Kardashian daughter and Scott is her partner. Neither one is particularly appealing to me nor have I ever found them particularly appealing, but I found a new dislike in both when I watched the ninth episode of the fourth season and heard Kourtney use the r-word. The context: Kris (Kourtney's mother) was complaining about Scott's poor work ethic and immaturity. Kourtney, in what I think was an effort to defend him, said: "He's not r------d."
Then, a few minutes further into the episode, Khloe (she's the one on the far left on the bottom row, the third-born Kardashian daughter) says the r-word. The context: Kris (Khloe's mother) tells Khloe she has to come to a function even though Khloe's husband is injured and she wants to be with him. Khloe angrily responds: "I'm not r------d."
That language is inappropriate - ALWAYS - and I am offended that the Kardashians (public figurse who I believe some people must look up to) are using that language so casually and showing people that this is acceptable behavior. The truth is that the r-word is EXTREMELY OFFENSIVE to a lot of individuals - particularly those with developmental disabilities - and it is absolutely inappropriate to use the term derogatorily because it implies that those individuals with special needs are worth less than their typically developing counterparts. I'm sure the Kardashians didn't consider any of this before theyspoke. But I think theyought to, especially since they might be looked to as role modesl. We do have to "spread the word to end the word" and there is so much work to be done. Can Autistic Parents Be Good Parents? Do You Use "Autistic" as a Reclaimed Word? The 5 Scariest Autism "Treatments"